Police officers across the country are shocked by Friday’s news that six Baltimore cops were charged with the murder of Freddie Gray. Many worry that they will be prevented from doing their job going forward. On Friday, after Baltimore State’s Attorney Marilyn Mosby charged the six officers with numerous charges including murder, it sent a chilling message to police everywhere. NPR had reaction from several police officers and police officials, but suffice it to say they are worried for their safety on the job as well as fearful of prosecution. “The specter of criminal charges being filed against police officers I believe is going to send reverberations across the nation,” the operator of the police academy in Washington state, Sue Rahr, told NPR on Friday. The president of Houston’s Police Union, Ray Hunt, noted that he feels that police now have fewer rights than the potential criminals they deal with. “There is a mood among some in this country that the police are going to be wrong unless proven right,” Hunt said. Police feel their hands are being tied by politicians and the courts on a range of issues. Earlier this year, for instance, police in San Diego complained that they were not being allowed to “combat crime” in their city over the issue of what is to be done about homelessness. “I believe that the publicity in this case is a driving force to a rush to judgment and causing this prosecution to move so quickly,” union rep Michael Davey said on Friday. “In my 20-year career as a law enforcement officer and 16 years as an attorney, I have never seen such a rush to file criminal charges, which I believe are driven by forces separate and apart from the application of law and the facts of this case as we’ve heard them,” Davey told the media. There is no doubt that more and more police officers feel as if their hands have been tied and that they are being prevented from doing their job. Last year Lt. Daniel Furseth of the DeForest, Wisconsin police department wrote a very stirring and heartfelt piece explaining why it is so “hard to keep caring.” The article expresses the frustration that so many police officers today feel on the job. 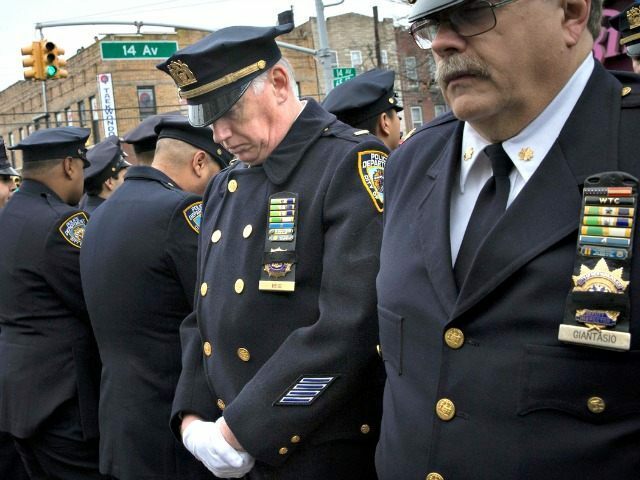 But he ended his piece revealing the duty that nearly every officer feels in his bones. “I stopped caring today. But tomorrow, I will put my uniform back on and I will care again,” he said.